Glen Campbell played on center stage for several decades as a premiere entertainer and gentleman’s musician. Glen introduced many famous performers who began their own careers playing his songs or appearing on his TV weekly show “The Glen Campbell Goodtime Hour,” and several Television Specials. For instance, did you know Glen Campbell played with the Beach Boys, or introduced the Smothers Brothers to the nation, or was highly regarded among so very, very many famous musicians in their own right; Johnny Cash, Chet Adkins, Merle Haggard, Elvis, Kenny Rogers and so many more? 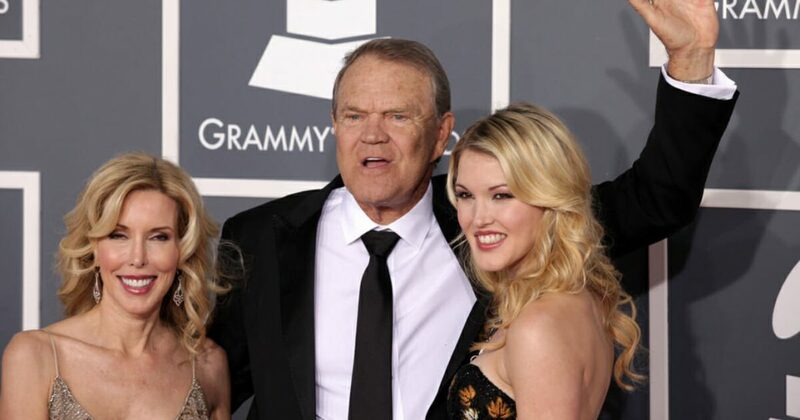 Glen Campbell was not a perfect man; he struggled and lost in three marriages, as well as alcohol and drugs, and one could argue he wasn’t the most attentive father. But this boy from the small town of Delight, Arkansas, met a girl who became his fourth wife of 34 years, and the mother to their three children, and Glen Campbell began to fall deeply in love with his life, his wife, his family past and present, and his Lord and Savior, Jesus Christ. I’m quite sure there were still less than perfect moments, but they began to have distance between them. His wife of 34 years, Kim, steadied this man of public fame even till the end when he could not recall much, recognize much, and slipped into an inner world far removed from everyone; except Kim. I became aware of their story, and Glen Campbell’s diagnosis of Alzheimer’s through a Messianic Fellowship my wife and I were attending, and with whom Kim was close personal friends of the Senior Rabbi and his wife. I learned a little of the ups and downs Glen and Kim were confronting with humor and a fighting spirit, but with their full and complete trust in the Lord. Not easy. Not always clean and orderly. But Glen and Kim Campbell faced each day, each moment, with all the dignity they could humanly muster, and with surrender into Adonai’s Hands for the next moment, the next day, the next….? On this day after Thanksgiving, I am thankful for the eternal life I have by adoption into my Heavenly Family through accepting Yeshua Mashiach – Jesus Christ the Messiah. I am grateful for my wife who, much similar to Kim Campbell, stands by me patiently and with full purpose to be a partner and “help meet” as ordained by Adonai. And the list of my prayers of thanksgiving goes on. I am moved by Glen’s final song to his wife, and I thought you might find meaning in the words and tune, also. I pray Glen’s song, “I’m Not Gonna Miss You” will touch your heart, and give you pause to ponder the people and things you are thankful for as you go through this day, and face tomorrow. I left the other song, “The William Tell Overture” in this mailing so you could see a time when Glen Campbell was at his best. I thought the comparison between the two sights and songs would speak to your heart, also. Count Your BlessingsThe Obamaites Are Still Working to Destroy the Trump Presidency!